“Everything but the kitchen sink” is exactly what the 2016 Goodwin Champions offers up on Upper Deck e-Pack™. Found under the miscellaneous section in the e-Pack store, putting a couple packs of these in the shopping cart is always a pleasant experience for me. With a countless number of possible hits, it’s hard to only pick one to be excited about. 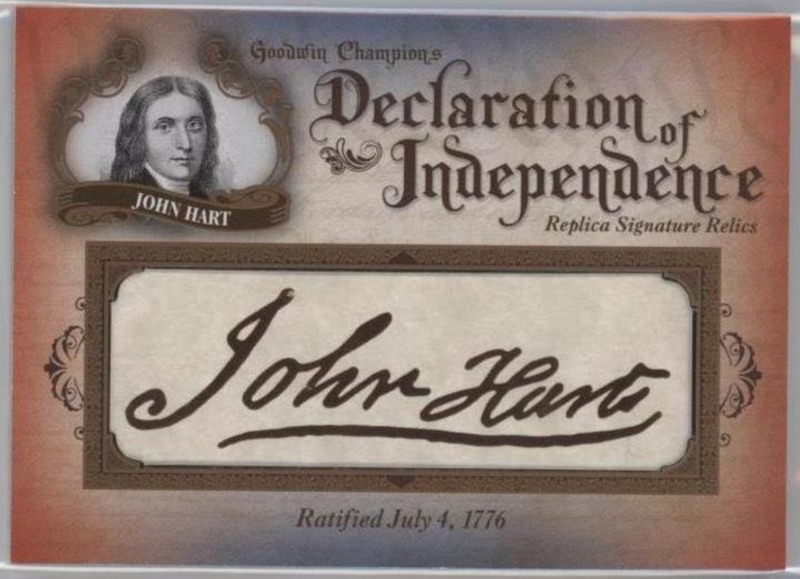 Upper Deck’s Goodwin Champions Contains autographs from U.S. War Heroes in the Museum Collection Signatures set, Goudey Sports Royalty autographs, Origin of Species manufactured patch cards, and so much more. When I went in to purchase my first batch of Goodwin Champions I was hoping for one of the magnificent Museum Collection WWII Relics Upper Deck offers up in this set. I decided to go with the hope my five-pack purchase hoping luck would provide me one of these World War II Relics. It didn’t. I got something I didn’t know I wanted, but boy was I glad to have it. 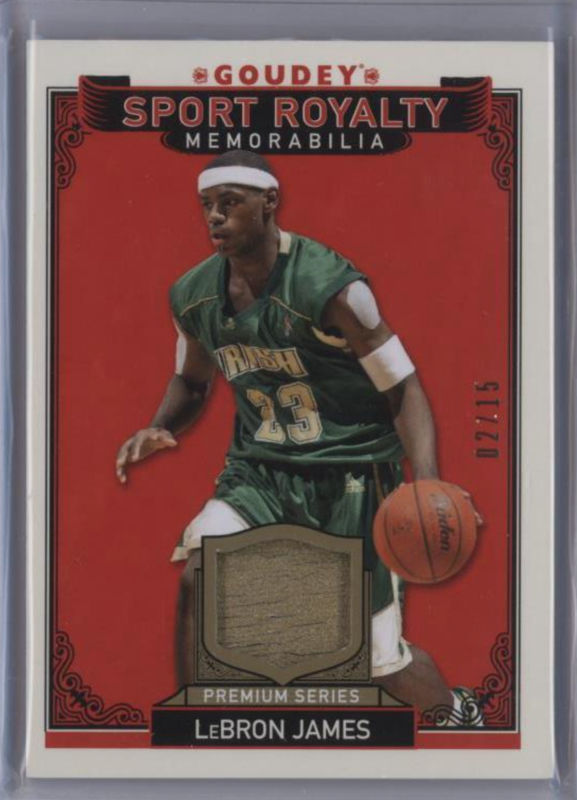 It’s a LeBron James Sports Royalty card #’d to 15 from the Goudey Series. I was completely blown away when this card showed up with that beautiful red glow. Over my next couple purchases I continued to be surprised at the wide variety of possible hits that were appearing in these packs. 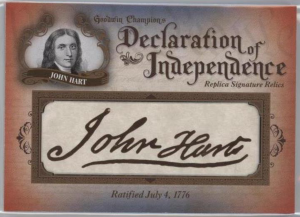 I took a handful of the mini-canvas cards I had acquired and made a trade for a card from a series I’ve had my eye on since I learned of this set; A Declaration of Independence Facsimile Signature Relics card. I immediately struggled with the idea of cashing it out through COMC.com to get it to me so I could see it in person. I never thought I would get my hands on one but e-Pack made it all possible for me. 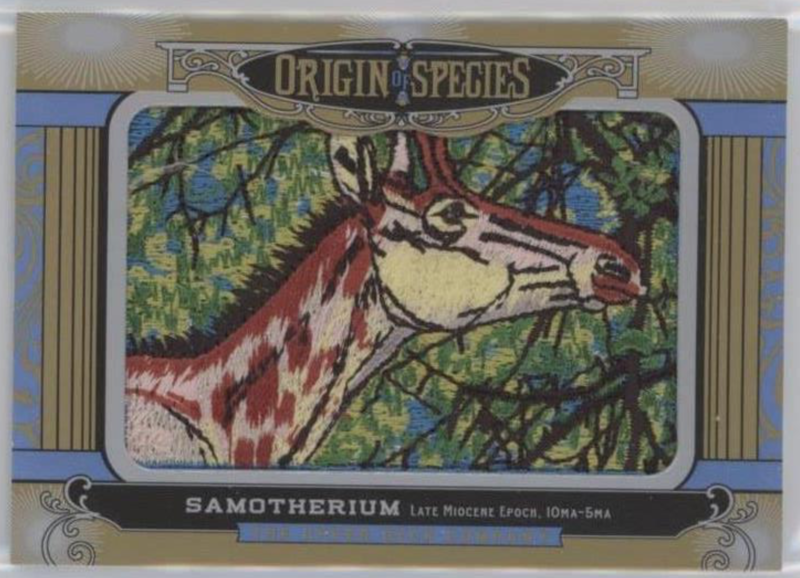 I have the best of luck when it comes to pulling Origin of Species Manufactured Patch cards. When I bought a hobby box from my local card shop, that box had two of them. Now on e-Pack I’ve hit two since I’ve been buying individual packs. Presented to you with a red glow when you pull the hit, it’s definitely a set worth chasing. A big patch set in the middle of the card and on the back, instead of stats, it gives you the history of the species on the card. The Goodwin Champions set truly provides something for all kinds of collectors. Goodwin Champions is a set full of hits to be excited about! I always see people bragging on social media about a massive hit pulled from the packs and boxes. You go in not knowing what to expect and you’ll get something you find yourself bragging about to everyone when you do. Goodwin Champions is worth taking a shot at as there are so many exciting cards to find within. 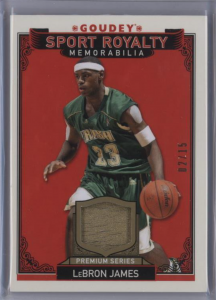 Timothy has been trading and collecting for over six years, starting with only baseball cards and eventually switching to all hockey cards and collectibles. Focusing on anything Chicago Blackhawks and Brandon Bollig. He’s always actively trading and chatting on e-Pack under the username TimothyJames44. Link up, lets trade!